Json Genie is a JSON editor that was created by the need of adeveloper. Really, really fastIt is ridiculously fast, which wasreally important while creating the app. Our tests reveal that itopens a 2 MB json file in under a second. We even did tests withfiles over 50 MB and Json Genie handled them without a sweat.View,edit, add, clone & remove objects/arrays/valuesJson Genieallows full reign over your json files. 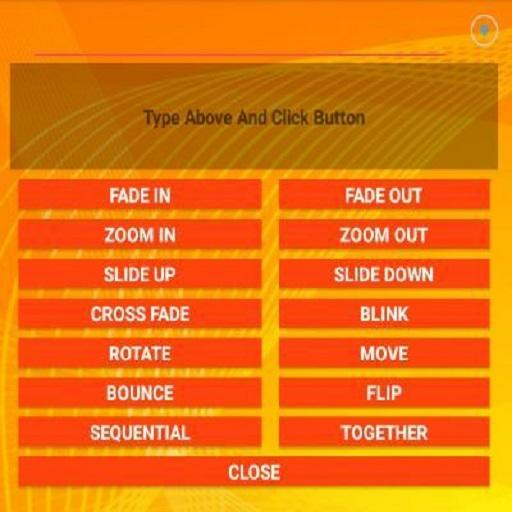 You can clonearrays/objects/values, you can add new arrays/objects/values, editexisting ones and even remove arrays/objects/valuesCreate/open fromsd, url, text, dropbox, ... Because Json Genie uses the defaultAndroid way of opening files, it can open a json file from allsources available on your Android phone (Dropbox, Drive, SD, ...).You can even copy/paste your custom json text or open aURL.Share/save your json filesPowerful filterEasily find theelements you want by using the easy to use filter option.Set asdefault json handlerEasily open json files from variousapplications by setting Json Genie as your default json handler. • Not overloaded nice looking interface • Notes organization bycolor • Beautiful fonts • Simple intuitive functionality • Noadvertisement • Reminders • Sync with multiple devices • Passwordprotection • Widgets Use this extremely user friendly app to easilycapture what’s on your mind. This app does not support photo of aposter, receipt or document it is intended to be a simple andbeautiful text only editor. Its really easier than any othernotepad and memo apps. Various colors and sorting methods togetherwith custom font selection is one the most beloved features fromour clients. FAQ: Q: How do I sync/transfer all notes to otherdevice? A: From apps main screen go to settings/backup/transfer.Send exported file by email and open it on other device. All noteswill be imported. Q: How do I rename note, change color or font? A:Open desired note. Under the top right corner of your screen findthree vertical dots menu. Click on menu and find appropriate optionfrom the list. Depending on your android version menu list may showup by pressing options button down on your screen or phone panel.Q: How do I password protect my notes? A: Open main app windowwhere list of all notes is located. Long press on desired note andwait till new options menu show up. Select password protect. Youcan reset passwords from apps master settings. Q: How do I entermaster notes settings? A: Open main app window where list of allnotes is located. Under the top right corner of your screen findthree vertical dots menu. Depending on your android version menulist may show up by pressing options button down on your screen orphone panel. Q: How do I put a note widget on the home screen(sticker)? A: Under the home screen hold down your finger on anempty space once the new window arise choose widget. Find RalocoColor Notes from the list and position it on your home screen. Q:How do I find backed up notes? A: All you backed up notes arestored in a single file. Which is usually located here:"/data/KenzapNotes" or here: "/Android/data/com.kenzap.notes/files"